Victoria City Restaurant has been providing high-quality Cantonese cuisine in Hong Kong since the 1980s. Being recognized by local and overseas customers, it has been awarded a number of international awards. 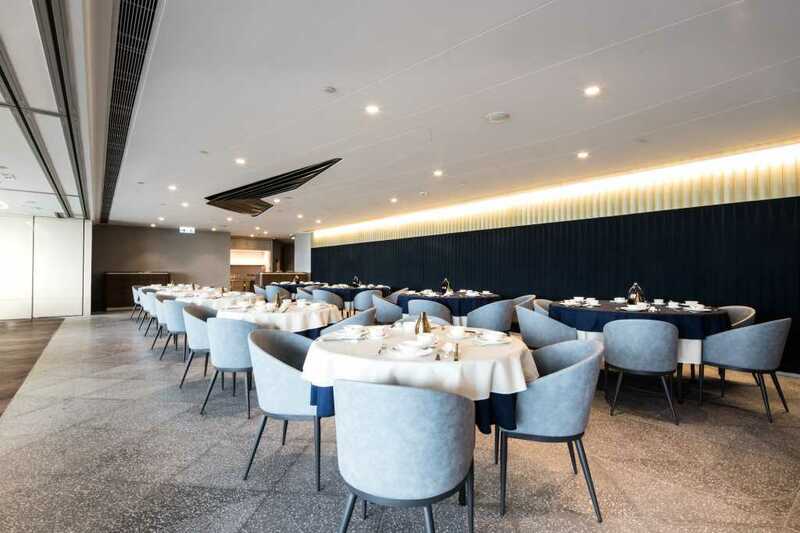 With delicious cuisine made from fresh ingredients, Victoria City Restaurant has always been a watch of Chinese high-end restaurants and enjoyed the reputation of “Celebrity Canteen”. Today, Victoria City Restaurant still upholds the enthusiasm for Cantonese cuisine and leads Cantonese cuisine to the forefront by continuously creating new dishes and infusing a variety of cooking methods to bring surprises to customers. In this project, we would like to give a new image to the brand that reflects its continuous evolution. 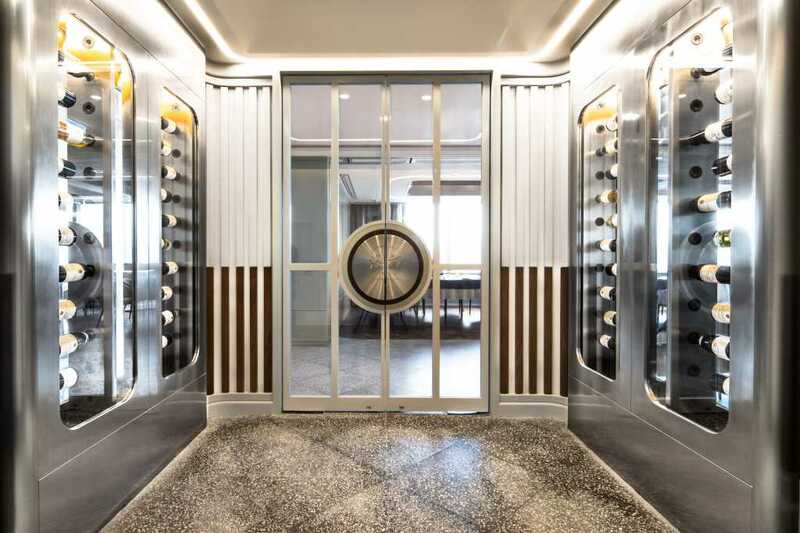 The elegance of traditional Chinese style is reinterpreted into today’s modernity and to fit into the overall space with a touch of French style. 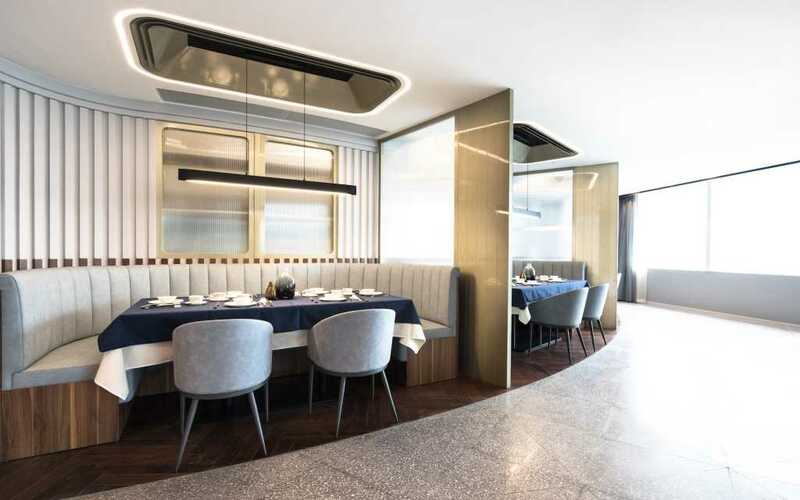 Instead of massive use of red color in the traditional Chinese restaurant, we have applied navy blue, grey and white as the main color palette to feature the elegance in a desaturated state. The touch of matte gold color offers a grand atmosphere with a modern sense. Marble stone corresponding to wooden linings symbolizes the fusion of new elements to Chinese culture. 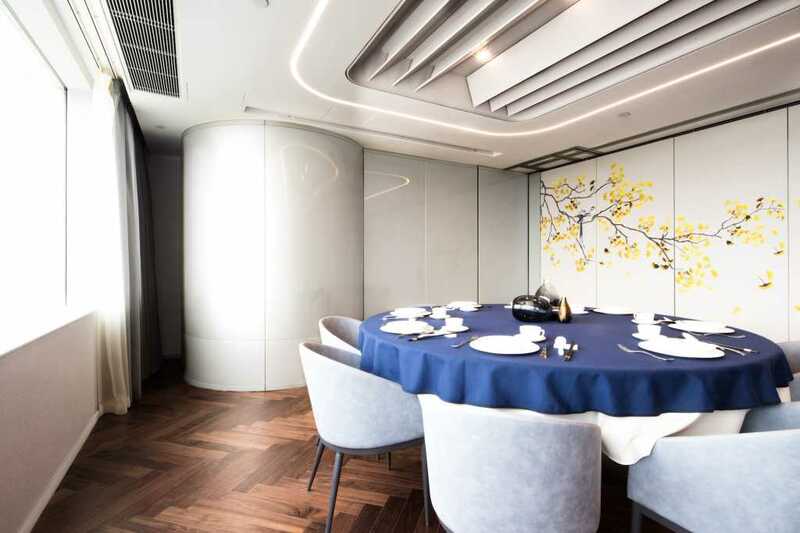 To give a hybrid of Chinese tradition and French style, the elements in traditional Chinese restaurant were applied in a new way. We have conserved the round table settings in the restaurant and extensively adopted wooden materials in the interior. The wooden materials correspond with white or marble materials to soften the atmosphere and give a touch of French palatial grandeur. Combination use of old-fashioned floorings that were commonly used in the past. The interior space is differentiated into several areas through the use of two-floor patterns. 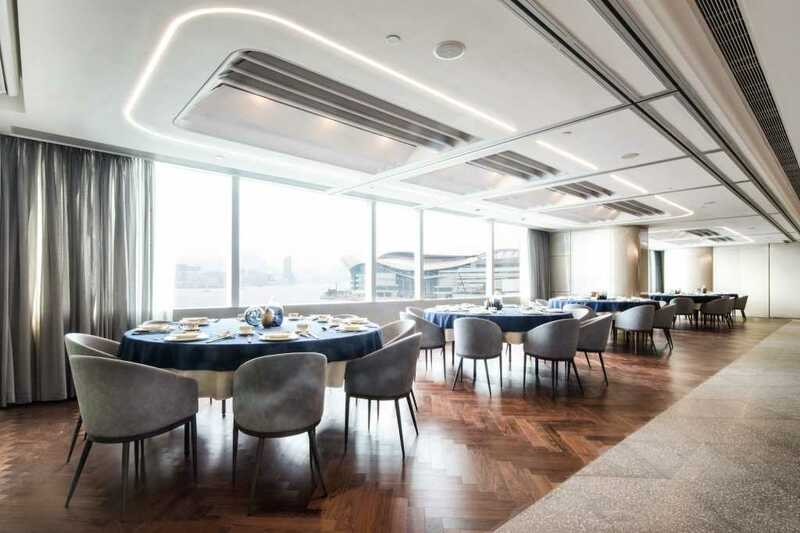 Hong Kong’s prized landmark-Victoria Harbor and the Hong Kong Convention and Exhibition Centre can be viewed from the restaurant. We have designed wide windows for customers to enjoy the sea view and allow entry of sunlight in order to open up space.